Dr. Linda Katehi became the sixth chancellor of the University of California, Davis, on August 17, 2009. 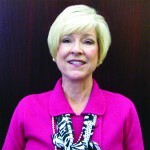 As chief executive officer, she oversees all aspects of the university’s teaching, research and public service mission. 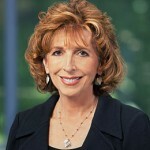 Chancellor Katehi also holds UC Davis faculty appointments in electrical and computer engineering and in women and gender studies. A member of the National Academy of Engineering, she chaired until 2010 the President’s Committee for the National Medal of Science and is chair of the Secretary of Commerce’s committee for the National Medal of Technology and Innovation. She is a fellow of the American Association for the Advancement of Science and a member of many other national boards and committees. In April 2011, she was elected to the American Academy of Arts and Sciences. 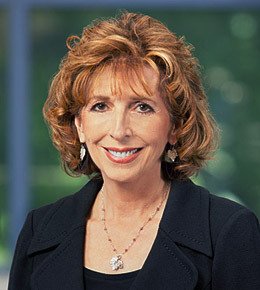 Previously, Chancellor Katehi served as provost and vice chancellor for academic affairs at the University of Illinois at Urbana-Champaign; the John A. Edwardson Dean of Engineering and professor of electrical and computer engineering at Purdue University; and associate dean for academic affairs and graduate education in the College of Engineering and professor of electrical engineering and computer science at the University of Michigan. Since her early years as a faculty member, Chancellor Katehi has focused on expanding research opportunities for undergraduates and improving the education and professional experience of graduate students, with an emphasis on underrepresented groups. She has mentored more than 70 postdoctoral fellows, doctoral and master’s students in electrical and computer engineering. Twenty-two of the 44 doctoral students who graduated under her supervision have become faculty members in research universities in the United States and abroad. Her work in electronic circuit design has led to numerous national and international awards both as a technical leader and educator, 19 U.S. patents, and an additional five U.S. patent applications. She is the author or co-author of 10 book chapters and about 650 refereed publications in journals and symposia proceedings. She earned her bachelor’s degree in electrical engineering from the National Technical University of Athens, Greece, in 1977, and her master’s and doctoral degrees in electrical engineering from UCLA in 1981 and 1984, respectively. 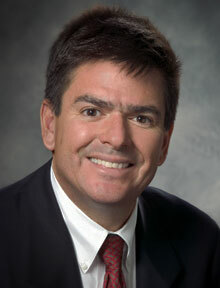 Dr. Enrique J. Lavernia is Provost and Executive Vice Chancellor of UC Irvine. Dr. Lavernia is former Dean of the UC Davis College of Engineering. Elected to the National Academy of Engineering in 2013, Lavernia is also a fellow of the American Association for the Advancement of Science (2000); a fellow of the American Society of Mechanical Engineers (2006); and fellow of ASM International (1998). Lavernia is recipient of the 2013 Edward DeMille Campbell Memorial Lectureship, and the 2013 ASM International Gold Medal Award. Named Presidential Young Investigator by the National Science Foundation, Lavernia also received a Young Investigator Award from the Office of Naval Research. In 2011 he received the Hispanic Engineer National Achievement Award (HEENAC) and the Society for the Advancement of Chicanos and Native Americans in Science (SACNAS) Distinguished Scientist Award. Prior to his arrival at Davis in 2002, Lavernia served as Chair and Chancellor’s Professor in the Department of Chemical Engineering and Materials Science at UC Irvine. Dean Lavernia has published more than 500 journal and 250 conference publications on topics ranging from nano-materials to aluminum alloys. 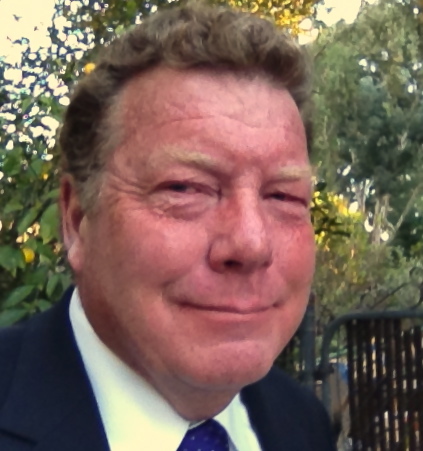 Mr. Mike Hardwick is the Deputy Director at Sandia National Laboratories in Livermore, California. He manages departments and programs responsible for nuclear weapon stockpile modernization, with a focus on reentry and air-delivered weapon systems. Mike joined Sandia in 1986 as a mechanical design engineer to develop components and diagnostic capabilities in support of the nation’s nuclear deterrent. In that role he contributed to programs such as the Strategic Defense Initiative (SDI) and Short Range Attack Missile (SRAM-II). In 1992, Mike moved to the Advanced Weapon System Studies group and developed concepts for future weapon systems to address evolving geopolitical conditions. As part of a technology transfer initiative, he also helped develop a novel automotive air-conditioning system. In 1994 Mike began work with Los Alamos National Laboratory to develop a new weapon component technology, which reached first production in 1998. In 1999 Mike became the manager of the Gas Transfer Systems Engineering Department and in 2001 began serving as Deputy to the Vice President for Defense Programs at Sandia’s California site. Mike’s duties included serving as the liaison to the Sandia nuclear weapons business office and chairing a collaborative exchange between the US and UK weapons programs. 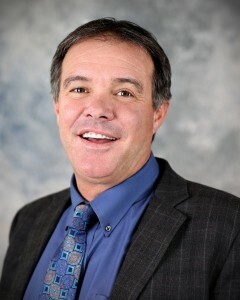 In 2003 Mike became manager of the Predictive Simulation Department in the Computer Sciences and Information Systems Center. There he managed large-scale simulation projects to address nuclear safety concerns, implemented new QMU (Quantification of Margins and Uncertainties) methods for weapon simulations, developed data management tools for large simulations, and developed game-based simulations for weapon effectiveness studies. In 2010 Mike became the Senior Manager for Surety and Gas Transfer Systems, where he managed departments responsible for engineering development, technology maturation, and research for those two product families. In addition to his current stockpile modernization program responsibilities, Mike manages a suite of environmental test facilities and the machine shop for Sandia/California. Mike has Bachelor of Science and Master of Science degrees in Mechanical Engineering, both from the University of California at Davis. In 1983, he was awarded the University of California College of Engineering Medal, the highest undergraduate honor awarded by the College of Engineering. Dr. Ronda DaRosa is the Deputy Superintendent for the Yolo County Office of Education. Dr. DaRosa has been an educator for 33 years. Her broad educational experiences range from 12 years of classroom instruction at the intermediate to adult education levels in both private and public institutions. She has 21 years experience in administering at the school, central, and county office levels in comprehensive, alternative and special education; developing curriculum for both college preparatory and career technical programs; designing and implementing professional development opportunities for K-12 teachers and administrators; and facilitating school reform at the secondary and middle school levels. Dr. DaRosa holds credentials in the areas of Life Science, Introductory Mathematics, Language Developmental Specialist and Educational Administration. Dr. DaRosa received her bachelor’s degree in biology from Westminster College in Pennsylvania. She received her master’s degree in educational administration from Sonoma State University and her doctoral degree in educational leadership from the University of Southern California. Ruthe Farmer has focused her efforts on increasing girls’ participation in technology and engineering since 2001. She provides strategic planning and direction at NCWIT, fund development, and cultivation of new partnerships, and leads the NCWIT K-12 Alliance. Ruthe is the driving force behind the hugely successful Aspirations in Computing talent development initiative, served as the 2012 Chair of Computer Science Education Week, was named a Champion of Change for Technology Inclusion by the White House in July 2013, received the Ulla Popken Phenomenal Woman Award for her work to increase girls’ participation in technology and engineering and received the Anita Borg Institute Award for Social Impact. Ruthe has a history of scaling up innovative STEM projects. She was responsible for establishing a national Lego Robotics program at Girl Scouts of the USA, scaling out the Intel Design & Discovery engineering program to 63 locations, and forming a national partnership between FIRST Robotics and Girl Scouts of the USA. She created GirlFEST, a one-day resource expo celebrating “everything cool about being a girl.” The inaugural event drew 10,000 girls; the event has been replicated in 15 Girl Scout councils and has been adopted as the girl engagement model at the Triennial Girl Scout convention. Ruthe developed “On the Road: the Savvy Girl’s Guide to Cars”, a comprehensive program on automotive careers, safety, and maintenance sponsored by Firestone and the US Department of Labor. She received the 2007 Education Publisher’s Award for the program guidebook. She also published the Guide to Promising Practices in Informal IT Education in partnership with Girl Scouts and NCWIT in 2007, and advised on the WGBH Design Squad and All Terrain Brain resources. Ruthe frequently speaks and presents on the topic of girls and women in technology and has been an invited speaker at the White House, the United Nations International Telecommunications Union, the European Union Energy Committee, the WebSummit in Dublin, and many more. 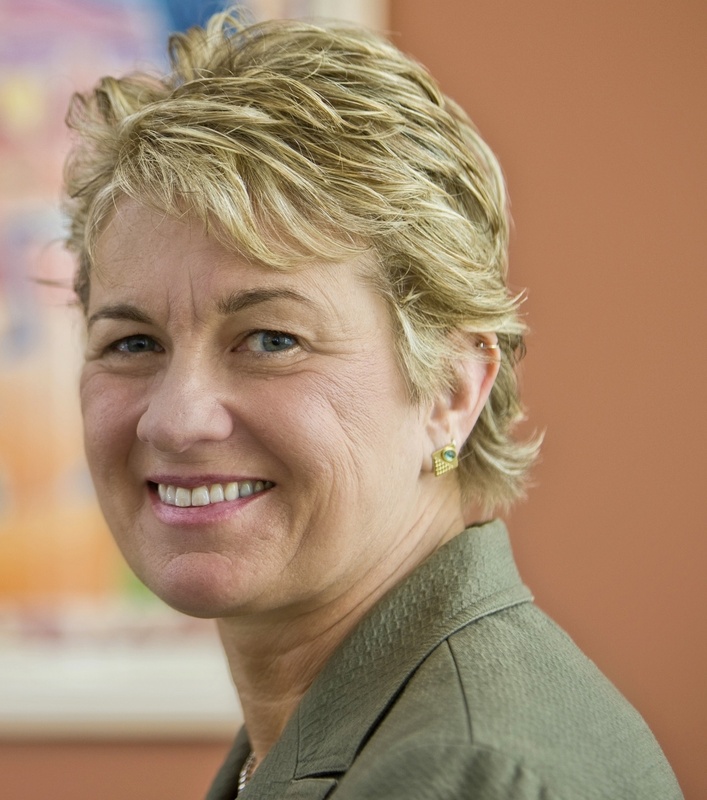 Ruthe served on the National Girls Collaborative Project Champions Board, the FIRST Robotics Girls FIRST Advisory Board, and was a founding board member of Springboard Innovation, a non-profit dedicated to incubating grass roots social entrepreneurs. From 2001-2005, she was on the founding committee of the Oregon Robotics and Tournament Outreach Program (ORTOP), one of the largest and most successful FIRST Lego League programs in the U.S. She sits on the Lewis & Clark College Board of Alumni and is an ambassador for the University of Oxford Said Business School. Ruthe holds a Bachelor of Arts in Communications & German from Lewis & Clark College and an MBA in Social Entrepreneurship from the University of Oxford’s Said Business School and is passionate about integrating innovative entrepreneurial strategies into her work. Darlene Le Fort is the Superintendent of the Coastline Regional Occupational Program (ROP). Ms. Le Fort has over 30 years of experience with the ROP, the majority of which has been in administration. She was the assistant superintendent of instruction and is currently the Superintendent. She is widely known throughout the state for providing leadership in curriculum development and work-based learning. 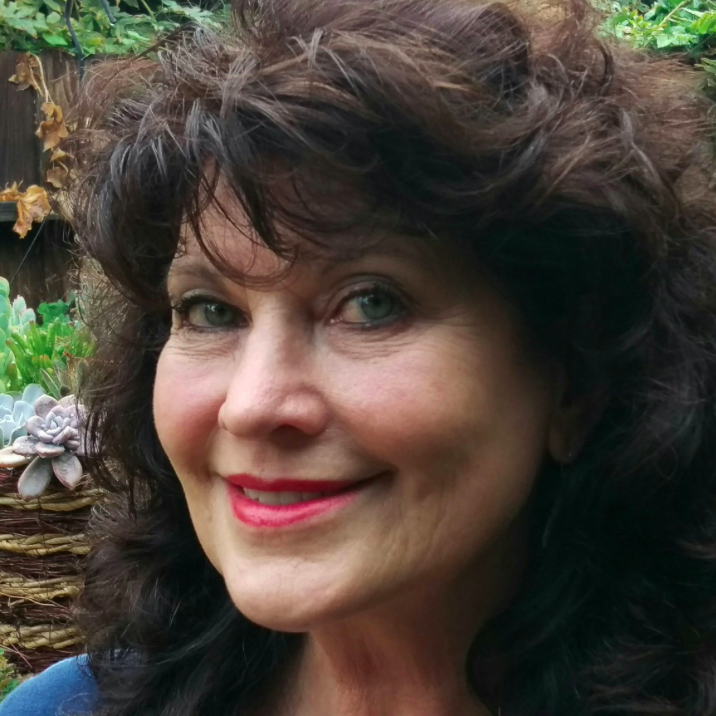 She has been involved in career technical education at the local, regional, and statewide levels and was recently a member of the executive committee for the California Association of Regional Occupational Centers and Programs (CAROCP). She currently serves on the Board of Directors for the Orange County Workforce Investment Board (WIB) and on the UCI Extension Advisory Board. Ms. Le Fort received her BS degree from California State University, Long Beach and her MS degree from California State University, Fullerton. Steve has released a series of videos that describe how his team (10 DSNs by region) can work together High school staff (including counselors) interested in better articulating high school courses and improve student outcomes through aligned pathways that focus on regional employment opportunities. 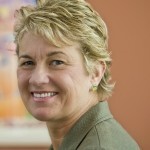 Debra J. Richardson is founding Ted and Janice Smith Dean of the Donald Bren School of Information and Computer Sciences at the University of California—Irvine. She joined the UCI faculty in 1987, and became chair of the ICS department in July 2000. Under her leadership, the department was promoted to the first computing-focused school in UC system in December 2002, and she was appointed the founding dean. She was instrumental in securing a transformational six-figure endowment for the school, resulting in naming the school after philanthropist Donald Bren. She served as dean through June 2010. 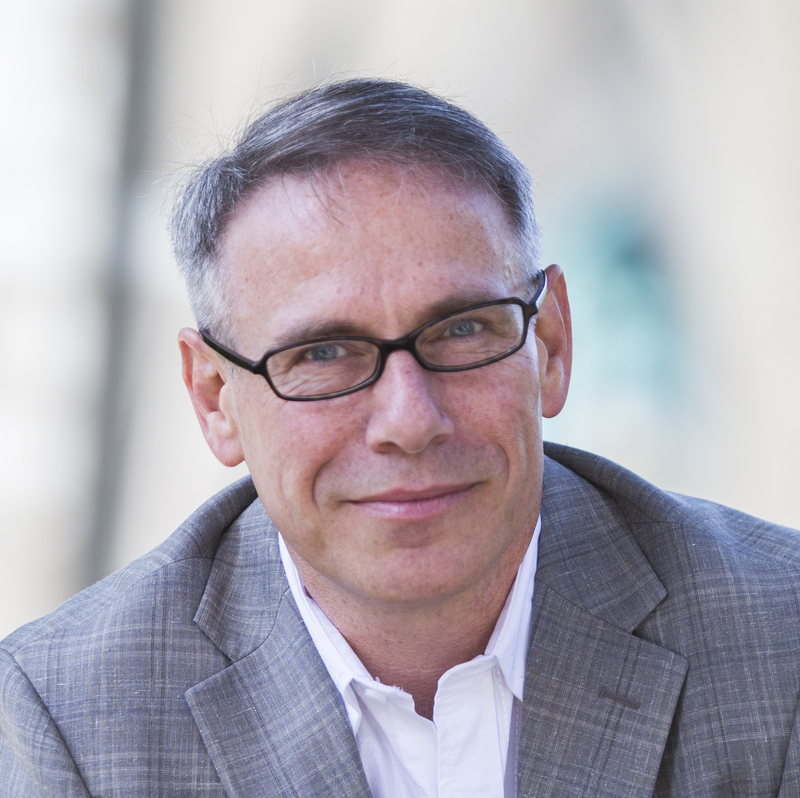 Richardson is a Professor of Informatics. 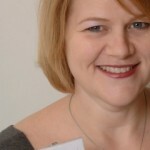 She pioneered research in “specification-based testing” but recently shifted her attention to adapting software engineering techniques to socially relevant domains, specifically focusing on sustainability. Her research has been recognized by designation as a Fellow of Automated Software Engineering and also with two retrospective impact awards from ACM SIGSoft. A long-time advocate of increasing the participation of women and other underrepresented minorities in computing, she has served on the leadership team of the National Center for Women and Information Technology since its inception and leads UCI’s NCWIT PaceSetter team. She chairs the Alliance for California Computing Education for Students and Schools, focusing on equitable access to K-16 computing education. She chairs the Advisory Council for ACM’s Computer Science Teachers Association, chaired CSEdWeek during its second and third years, serves on the ACM Education Board as well as on CRA’s Computing Community Consortium Council. Richardson received her B.A. in Mathematics from the University of California—San Diego, and her M.S. and Ph.D. in Computer and Information Science at the University of Massachusetts—Amherst. 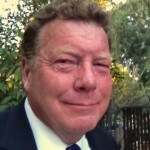 On May 14, 2012, the Butte County Board of Education unanimously extended the appointment as Butte County Superintendent of Schools to Tim Taylor for a term beginning July 1, 2012 and ending January 5, 2015. Tim then ran unopposed in the June 3, 2014 Primary and will serve the students of Butte County for another four years as County Superintendent. Tim is a graduate of Chico State University. He has a Bachelor of Science, Business Education, and a Minor Computer Science and Psychology. He earned a Preliminary Single Subject Credential in Business Education, Psychology and a Master’s Degree in Education Administration. He is a member of the Chico State Athletic Hall of Fame for his basketball career in 19809-84. Currently, Taylor is an active member of the California School Boards and California County Boards of Education Associations; the California Apprenticeship Council, the California Schools Public Relations Association, the Butte County Community Corrections Partnership; the Butte County Public Health Policy Council, and the California County Superintendents Education Support Association. Tim currently sits on the executive board of the Small School Districts Association; is a committee member of the California Fire Fighter Joint Apprenticeship Committee, Commissioner for First 5 Butte County and chairperson of the California K-12 High Speed Network Advisory Board. Butte County is the lead STEM agency for Butte, Tehama, Glenn and Plumas Counties and he is a huge advocate for CSTEM. He recently was selected as one of 100 Superintendents Nationally to visit with President Obama and his staff to be an ambassador of Future Pledge which is the President’s initiative to ensure all students have access to technology and educational technology resources. Mr. Taylor looks forward to serving on the UC Davis C-STEM Advisory Board as an advocate for Northern California in the pursuit of defining and integrating STEM in rural communities. Mr. Hattig is software and networking industry leader at the forefront of the Internet-of-Things revolution. He is currently Senior Internet of Things Solutions Architect at Amazon AWS. Previously he has held positions at startups, medium, and large companies such as Intel. Mr. Hattig developed numerous IoT solutions and defined the Wi-Fi, Bluetooth, Zigbee, and software roadmap for Atmel (now Microchip) as the Director of Product Planning. Prior to Atmel, Mr. Hattig rose through the ranks at Intel to become Director for global standardization of Wi-Fi, Bluetooth, and NFC. The screen mirroring application on mobile phones today is the result of his standardization work on Wi-Fi Direct and Miracast in the Wi-Fi Alliance. Mr. Hattig has a unique combination of system thinking and business acumen that allow him to transform technology into impactful solutions for the real-world.